The next group of yoga teacher trainees will gather in October 2020! The program will run October 2020 – March 2021. Dates will be announced and registration will open in April 2020. Our email list is the first to be notified of upcoming trainings, so sign up here! We respect each individual’s truth in this training. Be prepared for lively discussion! 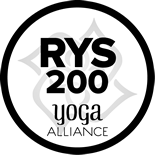 This 200-hour, Yoga Alliance registered foundational program is designed for North Country yoga students interested in a deep immersion into the practice of yoga. Many former graduates have gone on to teach yoga, safely and effectively, at various places throughout the Adirondacks and the Champlain Valley. This program reflects a commitment to ensuring all of our communities have access to yoga, meditation, and other wellness practices. 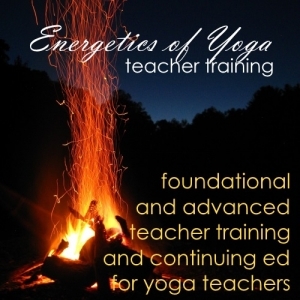 This teacher training program is your opportunity to take a deep dive into the practice of yoga, to develop your own strength and flexibility in a non-competitive environment, and to gather tools, such as breath exercises and mindfulness practices, to reduce stress and anxiety in your daily life. If you choose, you can share these benefits with your family and friends, or by teaching in a yoga studio or in a variety of community settings. Participants commit to eleven weekends (Saturday and Sunday, 9:00 a.m. to 6:00 p.m.) from October to March. Participants are required to take at least one yoga class per week during the training period outside of the scheduled training sessions. There will also be home study requirements including reading, written assignments, research and practicing the asanas. Debbie is a fantastic instructor. She demonstrates how to be an outstanding yoga teacher and gives you guidance with compassion and understanding. She encourages you to go and find your style of Hatha Yoga. I always trust her opinion and still contact her for suggestions. Since April 2013 I have started my own yoga business, teaching 2-3 evenings a week, in the small town of Ticonderoga, NY. People started coming to my classes to “try” yoga, many who had never practiced before. I get a lot of thanks for bringing yoga to them, and I feel like I make a difference in people’s lives. It is the most rewarding experience to give back! I also have been hired at a few spa locations to teach yoga. Opportunities present themselves in amazing ways! After graduation, I found Debbie to remain available and open to the developing styles of the new teachers, offering her support and opportunities to teach at True North Yoga. She also offers plenty of inspiration while getting a practice started. Debbie fosters a non-competitive, safe haven with vital instruction in how to teach who is in front of you with certainty and readiness to offer modifications to those with limitations while simultaneously challenging the advanced. She welcomes those who have limitations into the program, knowing that they will progress forward carrying a special understanding and compassion for helping those who suffer to improve their quality of life. Love and peace. Mark the dates in your calendar NOW! While an absence may be unavoidable due to sickness or an emergency, you will get the most out of the program by attending every session. Make this a priority and plan events with family and friends on other weekends. The cost of the program is $2,000, which includes all the required sessions as well as books and other materials. A 25% deposit, due in September with your training agreement, will be required to secure your place in the program with the balance due monthly over the six month course duration. Ready to commit to a life-altering program? Registration for the October 2018 – March 2019 program is closed. Check back in April for October 2019 – March 2020 dates and registration. I hope you’ll join me for this first step on a lifelong exploration of the practice and philosophy of yoga. Any questions? Contact me. There are beautiful places to stay close to the True North Yoga studio in Keene Valley. I recommend the Roostercomb Inn, just a short walk from the studio and run by one of our yoga teachers. Visit their website at www.roostercombinn.com for information and booking. Also within walking distance are the Ausable Inn (contact them at (518) 576-9584) and the Keene Valley Hostel. There are a number of dining options in the area, including Old Mountain Coffee next door (opening in December 2018) and the Noonmark Diner directly across the street, as well as the Ausable Inn and the Rivermede Market up the road. Our High Peaks location is in the heart of the Adirondack mountains and a wonderful place to visit in all seasons. Your teacher training weekends will feel like mini-vacations.